An absolutely unprecedented night of song and unscripted conversation from America's Favorite Dragapella Beautyshop Quartet. The Kinsey Sicks, who are celebrating their 25th anniversary this fall and marking the retirement of founder Ben Schatz as Rachel, will perform some of their favorite songs from the last quarter century, punctuated with conversation with Kinsey Sicks co-founder and Ner Shalom Spiritual Leader, Reb Irwin Keller. Expect shocking secrets, serious exploration of the group's past and politics, gossip, hopes, regrets, war stories and uncontrollable laughter. A night where anything could happen. Critics have called the Kinsey Sicks' work “powerful,” “provocative,” “delicious,” “subversive,” and “hilarious." The New York Times praised their "voices sweet as birdsong," and National Public Radio dubbed them "the Royal Shakespeare Company of Drag Performance." Read more about the Kinsey Sicks here. 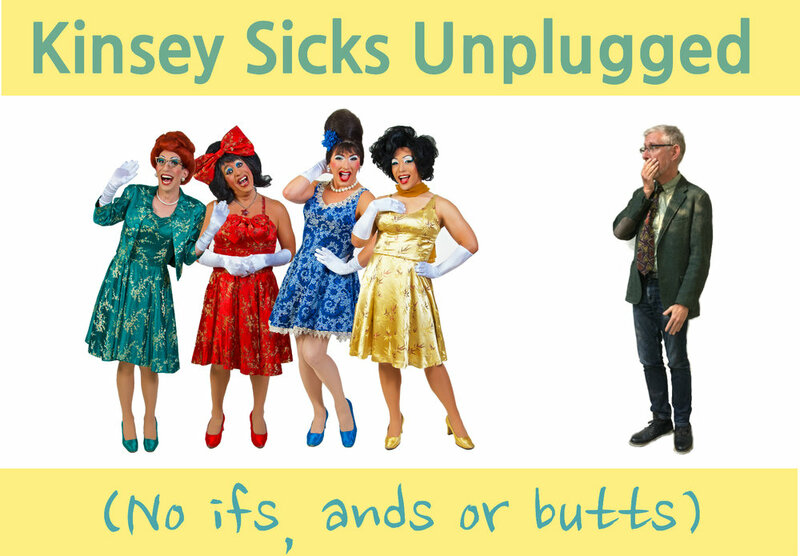 So come join America’s Favorite Dragapella® Beautyshop Quartet as we meet them both onstage and off. Note: This evening will be overflowing with adult content. Parental discretion advised, in the absence of any at all from the Kinsey Sicks. Ner Shalom is a strictly scent- and chem-free venue. Please (please please please) be mindful. Note: On-line Sales will end October 4th at 3 PM. Additional tickets available at the door. Doors open at 7:00 PM.